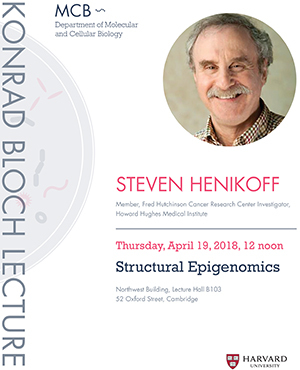 This year’s Bloch Lecture will be given by Steven Henikoff, Member of the Basic Sciences Division of the Fred Hutchinson Cancer Research Center and Investigator of the Howard Hughes Medical Institute. Henikoff earned his doctorate here from the Department of Biochemistry and Molecular Biology where he worked during 1971-1977 in the laboratory of Matthew Meselson. Henikoff’s dissertation research was on “RNA Sequences Transcribed from Heat-induced Puff Sites in Drosophila“. In some parts of his research Henikoff collaborated with fellow graduate students in the Meselson laboratory, Susan Lindquist (then McKenzie) and Janet Heywood. After leaving Harvard, Henikoff conducted postdoctoral research on position-effect variegation in Drosophila in the laboratory of Charles Laird in the Department of Zoology at the University of Washington. Henikoff’s current research is on chromatin dynamics, transcriptional regulation, centromere inheritance and DNA torsional dynamics. He is a highly original thinker, having developed innovative experimental and computational methods for studying these and other processes. 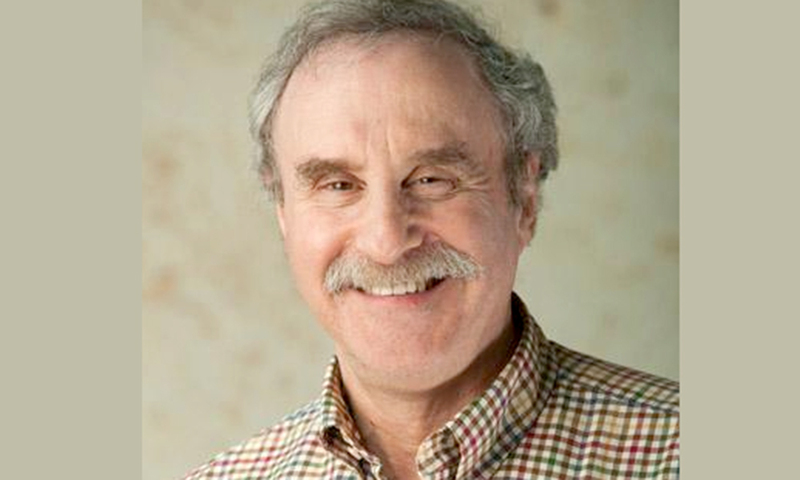 Dr. Henikoff is a member of the National Academy of Sciences.